All year round, you can soak up the atmosphere and get an inside look at Hoegaarden’s brewery on Stoopkensstraat. On fixed times, at 10:30 am and 14:30 pm, and always accompanied by a guide, visits are possible on Wednesday and Thursday. Group visits are by reservation only and must be made at least three weeks in advance. Special packages for groups include both a classic tour and beer tour. 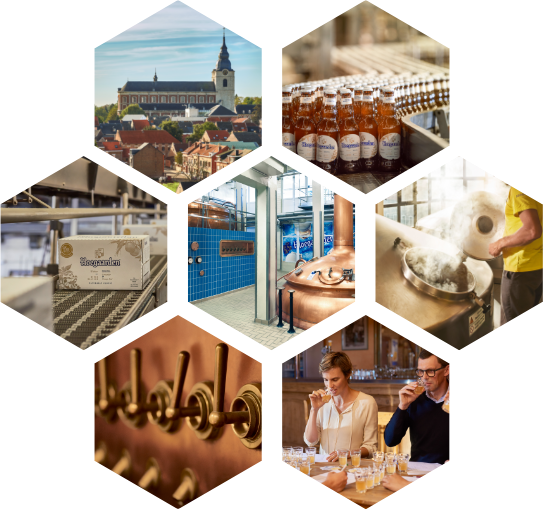 The classic tour, which consists of a brewery tour followed by a delightful Hoegaarden tasting, is available for groups of 25 people for a fixed price of €200. The beer tour, which includes a guided visit with an elaborate tasting of three Hoegaarden beers with appetizers, can be booked for €300 per group. The date of birth you provided is not valid.